Search Engine Optimisation (SEO) can seem like a daunting (and very technical) task but by avoiding a few common pitfalls you are already increasing your chances of ranking higher on Google’s search results page! A few years back generic keywords would have done the trick, but times have changed and with it how keywords are used in SEO. If you want to rank in Google you have to make sure that you’re using the right keywords for every page. If you are a local real estate agency pushing “property for sale”, you’re aiming too high. You should consider something a more specific. It is estimated that up to 80% of searches are long-tail keywords. Long tail keywords are those three and four keyword phrases which are very, very specific to what you are selling. 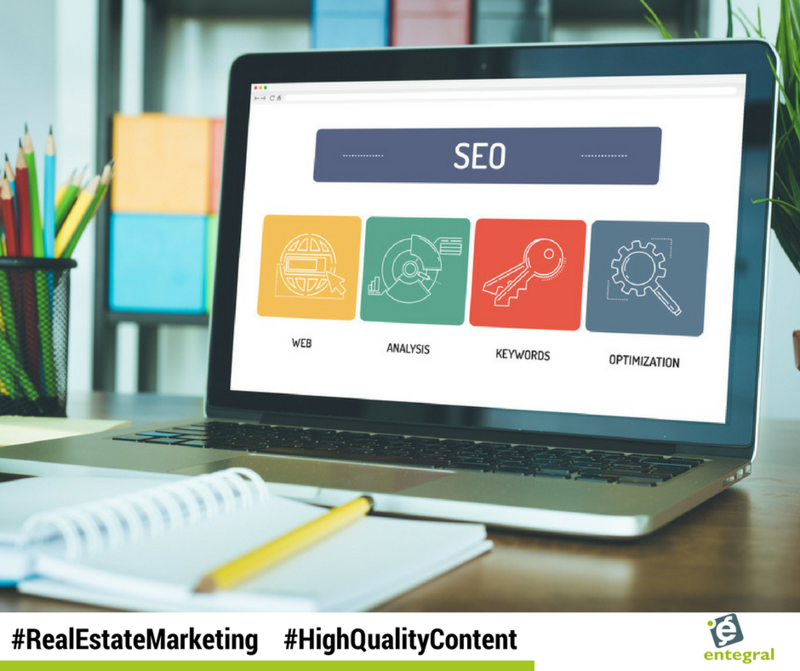 This means content with the phrase ‘Lonehill property for sale’ will fare better than simply ‘property for sale’ when you want to ensure you are getting better ranking in personalised search results. The reason that small to medium-sized agencies should focus on long-tail keywords is that competition is lower so they are easier to rank for and user intent is much more targeted. By working out the long-tail keywords that can drive conversions and revenue, you can start to see real ROI from your SEO efforts. We will shout it from the rooftops: Content is King! We have written about the benefit of content and content marketing before, but we still see many real estate websites that neglect writing content. You cannot expect Google - and by extension potential clients - to view you as an expert real estate agent if you only have two sentences written about the topic. This indicates to Google that your page probably isn’t the best result to match the search query. For example, writing about property in Cape Town is definitely going to help instead of hinder. Once you have them on your content page, you will have to direct them to the next step in their journey - finding their dream home. Once visitors are on your site, an important goal is to keep them on your site. You don’t want your visitors immediately bouncing back to Google once they have read something on your site. This is why you need to encourage visitors to click through your site. The best way to do this is to create a call-to-action (CTA), which usually is a button that offers an action to your visitor. This can be, for instance, a ‘sign up’ button for newsletters. Make sure that the CTA stands out from your design, so it’s clearly visible and cannot be missed. If the button blends into the design of your page too much, it will attract fewer clicks than when it stands out. So don’t be afraid to use a distinct colour! Since Google has announced that they will switch to mobile indexing first, you should be busy preparing your site for this change. ‘Mobile indexing first’ means that Google will look at the mobile version of your site to decide how high you should rank. So if the desktop version of your site is set up brilliantly, but your mobile site isn’t responsive at all, you have a lot of work to do if you don’t want to suffer a rank drop over next year. You can obviously skip a separate mobile website with our Flex responsive websites. They act as both desktop and mobile websites because they adjust to the device they are viewed on. You don’t lose functionality or branding when switching between devices - everything works as it should. 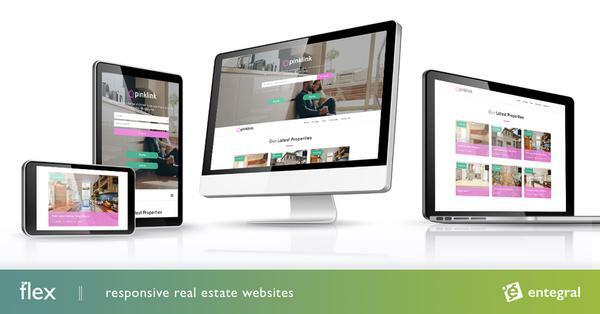 As mentioned our responsive real estate websites will ensure your business is always ready for potential clients whether they view it on their laptops, tablets or smartphones. Find out more about our Flex website offerings. Content publishing is made easy with our Office Management System, if you are already an existing client this help file will show you how to load news to your website. If you are interested in our OMS product as a new client, you can find out more about it by reviewing packages on our product page. Want even more information about our products? Visit www.entegral.net or contact our support staff.